No one understands the role of industrial security in Cleveland like the team at Signal 88 of West Cleveland. We know how important security can be to industrial properties in the Cleveland metro area, and we know what kind of safeguards these properties need to shield themselves from modern security threats. If you operate a storage, manufacturing, or processing facility in Cleveland, here are the nine areas you need to focus on when putting industrial security services in place. Industry Threats. Any effective security system starts by identifying the biggest threats to the facility that’s being secured. It’s crucial that both you and your security provider have a detailed understanding of the specific threats faced by facilities similar to your own. Local Threats. Your security plan should account for any vulnerabilities or concerns that arise out of local geographic, infrastructural, regulatory, climate, or community concerns. Site Assessment. When designing a security plan for your facility, you will need an expert to perform a detailed assessment of site vulnerabilities. Expertise and experience prove crucial when you’re searching for weak points that might go unnoticed by less discerning eyes. Access Management. Anyone entering or exiting your property is a potential security risk, so it’s crucial that you have effective systems in place to monitor and control the traffic coming in and out of your facility. Card reader systems and personnel at key traffic points are the foundation of strong access management. Perimeter Control. Fences, walls, and other barriers are your first physical line of defense against intruders. You should be confident that your property’s perimeter is secure at all times. CCTV Surveillance. CCTV systems are a vital tool for tracking suspicious activity, improving visibility, and keeping a record of onsite actions. Just remember that these systems won’t provide effective deterrence on their own. Alarm Systems. Alarm systems are a must for industrial properties in the Cleveland metro area. As with CCTV cameras, low-end alarms aren’t effective deterrents on their own. Security Personnel. The physical presence of onsite security is one of the most effective deterrents against criminal activity. In Cleveland, roving patrols have become an indispensable part of industrial security, thanks to superior visibility, coverage, and cost-effectiveness when compared to dedicated onsite personnel. Modern Connectivity. Today’s strongest industrial security services are backed by cutting-edge technology. 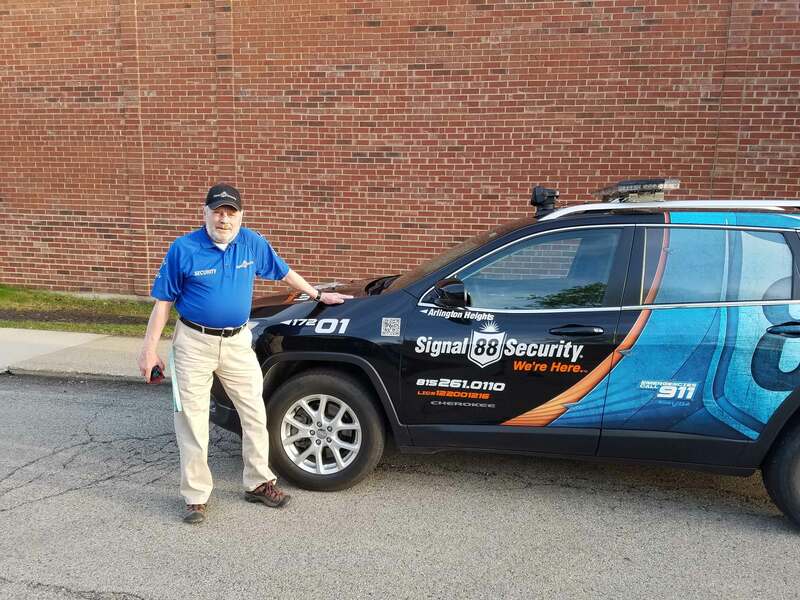 Industrial security services provided by Signal 88 of West Cleveland are built around our Edge 88® system, which includes key advantages like electronic reporting, GPS tracking, patrol routing, real-time alerts, and a range of other features. 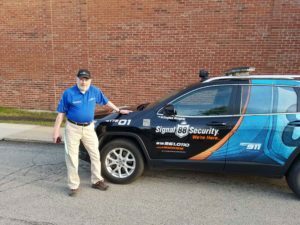 Secure your property with industrial security services from Signal 88 of West Cleveland. Our services keep facilities secure throughout the West Cleveland area, including Lakewood, Euclid, Cleveland Heights, and Strongsville. Book an industrial security consultation with Signal 88 of West Cleveland by calling (216) 544-9800 today!